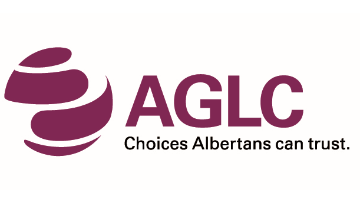 The AGLC is looking for a dynamic, leader to join our Finance Branch. In this leadership role we require someone who is able to think strategically, lead staff, and identify opportunities for innovation and improvement, all while anticipating financial challenges and needs. Ability to manage resources and time commitments of concurrent projects involving collaboration with multiple stakeholders is key in this position. Reporting to Director, the Manager, Financial Initiatives is responsible for providing leadership to cross-divisional strategic initiatives ensuring strong collaboration and leverages information, knowledge and resources to capitalize on efficiencies. This includes leading large transformational endeavours such as implementation of an Enterprise Resource Planning (ERP) system, as well as continual systems improvement and development. The position is also responsible for leading the development and implementation of accounting/financial processes, policies and procedures that refine services to better support the needs of the organization. The incumbent is also responsible for building the organization’s capacity, knowledge and expertise regarding International Financial Reporting Standards (IFRS). This position will be required to provide advice and awareness of issues, trends and challenges that can affect the development of policy and branch initiatives and services as well as the successful execution and achievement of strategic outcomes. The position also plays a key role, through project and issues management, to championing and supporting a forward thinking and dynamic organization with the agility to meet future challenges and changes. We are looking for someone who is able to work within a fast paced environment with strict deadlines and tight schedules, while also having the ability to build strong partnerships. NOTE: An equivalent combination of education and experience may be considered. Candidates with lesser qualifications may be considered at a lower classification and salary. This recruitment may be used to fill future vacancies. This Division provides corporate business support services for the AGLC. It consists of the Office of the CFO, Corporate Operations, Finance, Procurement, and Properties. Records and reports all gaming, liquor and cannabis-related revenues and expenses, including cash management services, accounts payable and payroll services, revenue management and corporate accounting. The unit is also responsible for the management of the annual budgeting process, to ensure that resources are allocated in alignment with strategic and other corporate priorities. Provides financial support to the organization, including financial reporting and analysis, financial planning and forecasting, as well as coordination of all financial transactions for the AGLC and the Alberta Lottery Fund. To be eligible to work for AGLC, you must be a Canadian citizen, permanent resident or eligible to work in Canada. We offer a comprehensive range of benefits. As a condition of employment you will be required to obtain a satisfactory security clearance and clean drivers abstract (if necessary) prior to employment. While we appreciate all applications we receive, we advise that only candidates under consideration will be contacted. AGLC is committed to creating a diverse environment and is proud to be an equal opportunity employer.